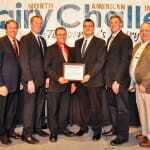 Four UW–Madison dairy science majors were at the 2,500-cow California farm in April to participate in the 2018 North American Intercollegiate Dairy Challenge, and their plan was the winning one. A perennial crop called kernza is being tested at the Arlington Agricultural Experimental Station. 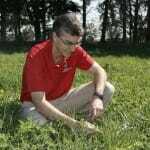 It's part of an envisioned shift from farming annuals toward toward a one-time tilling and planting of perennials, followed by harvesting forage and grain for years or decades. A Sheboygan strain of yeast is being tried in both bread and beer, through the work of UW–Madison and its industry partners. One question to be answered: How does it taste? New UW–Madison research conducted throughout Wisconsin suggests that bats may indeed be effective exterminators of mosquitoes. New UW–Madison research indicates that ongoing consumption of yogurt may have a general anti-inflammatory effect. 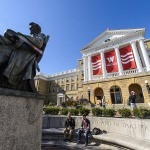 The latest release from Campus Craft Brewery – a partnership between UW–Madison’s Department of Food Science and Wisconsin Brewing Company (WBC) – is a classic German-style lager mixed with a Wisconsin-made grapefruit soda. 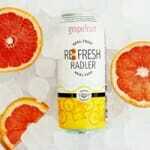 It is made in the radler style, often called a shandy. The National Agri-Marketing Association (NAMA) Team and Dairy Challenge Team recently represented UW–Madison at the national competitions level and brought home two National Championships. A study by UW–Madison dairy scientists, engineers and agronomists to see how a cow’s breed and forage consumption affect the greenhouse gases generated by her gut and her manure. Batch freezer short course participants come from all over to learn how to flavor ice cream from scratch, artisanal-style and using safe manufacturing practices. A 30-minute media availability will be held before the start of the Wisconsin Agricultural Outlook Forum on Thursday, Jan. 25. The availability is set for 9:15 – 9:45 a.m. in the Traditions Room, located on the second floor of Union South. 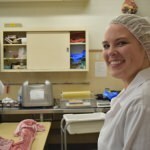 Bucky’s Butchery, a retail meat store on campus, employs about 15 student workers in cutting meat, mixing ingredients, processing products, marketing and cleaning. 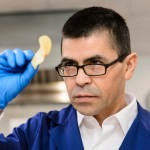 By monitoring sugar levels, frying test batches of potato chips, and other techniques, Sam Perez helps growers decide when to market their stored potatoes. 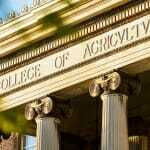 "Studying milk production in the dairy state, I ​feel my research can have a significant impact on the state economy and environment in general, and dairy families in particular." A three-year experiment on the four baseball diamonds at Racetrack Park in Stoughton explored different levels of maintenance for sports fields and turf in general. 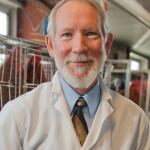 Farmer Gerry Weiss stands as a key conduit between academic experts – many with roots in the soil – and those who make a living growing crops and animals. 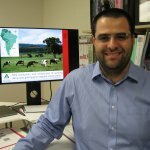 “On average, only about a quarter of the crude protein in a dairy ration goes to milk,” says Professor Sebastian I Arriola Apelo. “His work embodied the Wisconsin Idea, seeking advances and solutions in the areas of health and agriculture," says a colleague. "He was also a man of integrity, who felt a deep sense of service and commitment." The comprehensive reviews will assess each dean's academic and administrative leadership and performance in such areas as external relations and resource management. The 50-year history of UW–Madison's Lancaster Agricultural Research Station mirrors changes on Wisconsin farms over the past half century.